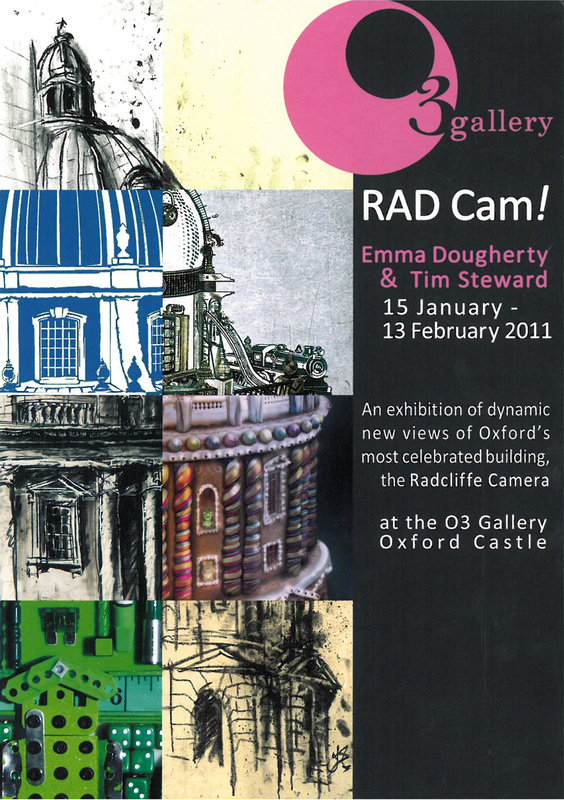 Tucked away at the back of the Oxford Castle development is the O3 Gallery who are currently running an exhibition entitled ‘RAD Cam!’ comprising works by Emma Dougherty and Tim Steward depicting (you guessed it) The Radcliffe Camera; probably Oxford’s most famous building. The two artists have very different styles with Tim Steward's sweeping large scale black and white drawings and Emma Dougherty’s more unusual depictions via the mediums of digital manipulation and assemblage. I had come across Tim Steward’s work in the past as we have previously shown his prints in our shop along with many other local artists, but Emma Dougherty’s work was new to me and I was amazed at how many objects can be used to assemble that iconic Radcliffe Camera shape. My favourite though was her digital manipulation piece ‘Ad Cam’ where many different images have been used to create the Camera. The exhibition runs until 13 February at O3 Gallery, Oxford Castle.